There's nothing like having a fresh, clean face at the end of the day, right? Especially if you've been wearing makeup throughout most of it. To remove mine, I like to employ 3 steps that involve cleansing wipes, a cleansing oil, and finally a face wash.
Wipes are not a staple though and I'll sometimes switch it up for a cleansing water instead, so I decided to try one of Maybelline's newest products, the Maybelline Micellar Water. THE SECRET? Makeup absorbing micelles: Act like genuine micro-captors to absorb dirt and makeup residues. RESULT: Instantly and effectively removes light makeup including BB while skin stays extremely fresh, soft, and hydrated. If I'm not mistaken this is an Asia exclusive product. I only say this because I haven't seen any bloggers/vloggers in Western countries writing about it and Maybelline already has a similar product called the 'Clean Express Miracle Water' which is only available in the West and not here in Asia. It's common for global, drugstore brands like Maybelline to have region exclusive products anyway. I have at least two Maybelline BB creams that were only sold in Asia, for example. 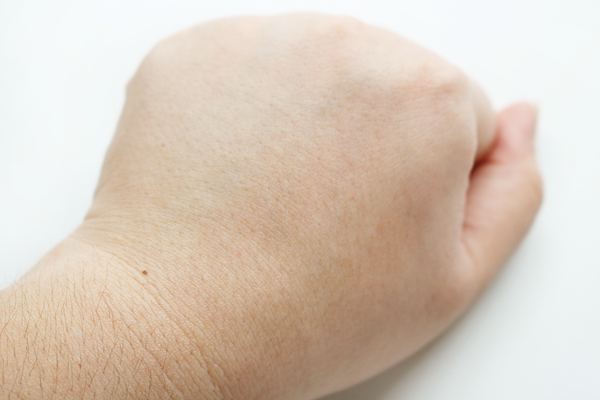 To test the power of the micellar water, I heavily swatched four commonly used makeup products on the back of my hand and let them all set. Saturating a square cotton pad with the Maybelline Micellar Water, I swiped it over each swatch once. Already, with just that one swipe, the eyeshadow virtually disappeared. 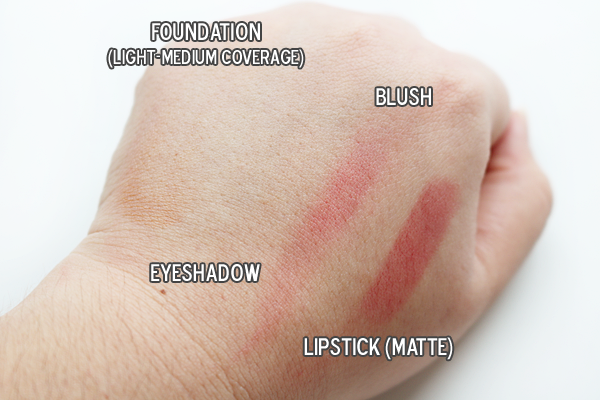 What remained the most was the tough, matte lipstick and blush. Most of the foundation was already gone. Saturating another cotton pad, I finally cleaned up the entire back of my hand with it and voila! I've got fresh, clean skin again. Not even the lipstick remained once I went over it with the pad a few more times. 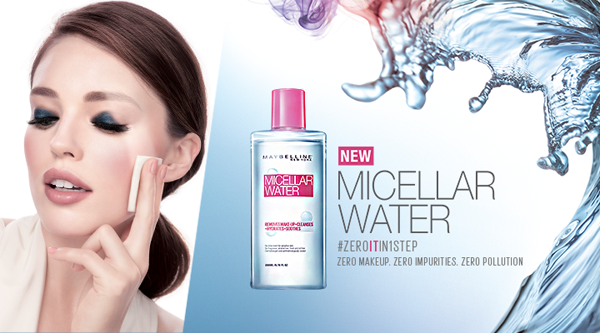 While the micellar water performs exactly the same on my face, its performance is not as...economical. After all, I obviously wear a lot more makeup on my face than what was on the back of my hand. For the above, I used a total of two cotton pads, but if I want to remove most of the makeup on my face then I'll need at least five or more. If you wear a full face of makeup everyday, that's going to make you burn through your facial cotton stock really quickly. That is, of course, if you're like me and use a cleansing water to remove most of your makeup. I use cleansing waters to try and get rid of at least 80% of my makeup and use a cleansing oil and face wash to remove any remaining traces. If you don't wear makeup regularly or wear very light makeup, then this product will at least be lighter on the wallet for you. To be fair, Maybelline themselves do say the product 'effectively removes light makeup' so I don't think it's meant for 'heavy duty work' so to speak. All that aside, there is much that I do like about this product. First, it really refreshes skin! After using, it almost feels like I just washed my face. While wipes are able get rid of most of the makeup, my face still feels unclean. With this micellar water, it's like my face is squeaky clean again but with an added hydration boost too. 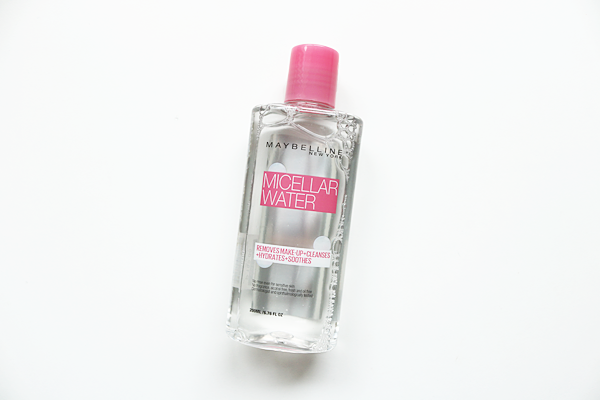 Other micellar waters I've tried before do make my face feel fresh and clean, but this one tops them all. I haven't seen a difference in my pores even after 2 weeks, but it's fine because I really don't expect micellar water to minimize my already large pores. A more concentrated product specifically meant for pores should do that. Oh, this product is also multi-purpose because you can use it to remove (light) eye and lip makeup. Don't expect it to help you get rid of tough, waterproof eye makeup though or you might be rubbing your eyes raw. It's still best to get an oil-based remover meant for eyes. Will I buy this again? Maybe! Sure, I like how this performs and how it makes my face feel afterwards compared to most face wipes and even other micellar waters, but I'm tempted to stick with wipes since they're bigger (surface area-wise), travel-friendly, and slightly more economical for me (I tend to use only 2 sheets at most even with a full face of makeup). Safe to say I'll be using this up until the last drop, but come time to replenish my makeup remover arsenal, I might just swipe more wipes instead. Affordable at less than Php200. Makes skin feel refreshed, hydrated, and clean immediately after use. Able to easily remove light amounts of makeup. 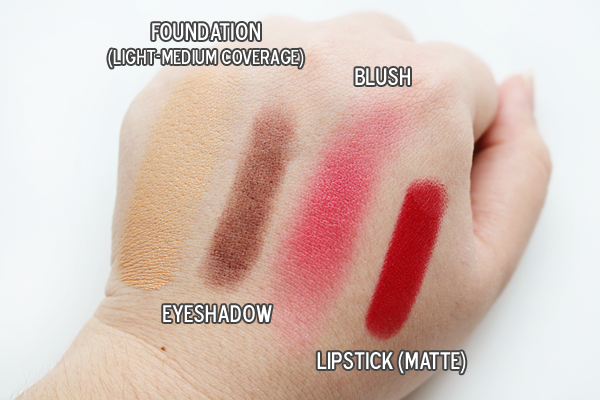 Heavier makeup requires the use of a lot of product and facial cotton. Multi-purpose. Can also be used to remove light eye and lip makeup.